Making use of our Learning Escapes potential to be extended Hartsholme Academy in Lincoln was completed over 3 phases by TGEscapes. 'This is our second project with the Learning Escape, as our school’s continued success and growth necessitated a continued expansion of classroom space. As before, everyone is enjoying the lovely, open learning environment provided by TG Escapes building and the team onsite were very accommodating and helpful.' - Sara Pearson, Head of School. Hartsholme Academy has been on an incredible journey the last few years and in July 2011 it became the first school in Britain to move from an OFSTED categorisation of Special Measures to Outstanding in less than 2 years. In 2012 we moved into a new state of the art school building and have gone from strength to strength as both an educational establishment and a hub of local community activity. As our pupil numbers and community involvement swelled we quickly ran out of space and, less than two years later, we urgently needed more classroom space. Amongst the many innovative teaching methods we have employed to execute the transformation, we have also been active proponents of outside learning. 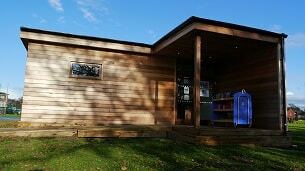 For instance, all of the classrooms in our new building have direct access to their own outdoor play space. We wanted our new classroom to be built in the centre of an environmental maze in order to promote wildlife education for our pupils and we wanted it as quickly as possible once the funding was secured. The Learning Escape offered an exceptionally high quality building that fits beautifully within our outside setting, and had the added advantage of being quick and easy to install. We got some fantastic extra classroom space quickly and, with all the hard work of planning the project completed for us, our incredibly hardworking staff were left to get on with the job of teaching the pupils. Working with The Learning Escape was an excellent, 5 star experience. 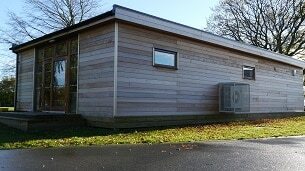 "The Learning Escape offered an exceptionally high quality building that fits beautifully within our outside setting, and had the added advantage of being quick and easy to install."